‘Guitarist’ Features the Jet Set Gretsch Shoout! The latest edition of Guitarist magazine is jam-packed with Gretsch love. Starting with the stunning cover shot of the Cadillac Green G6128T-57 Vintage Select ’57 Duo Jet™, the November issue features a triple threat review of Gretsch guitars including the aforementioned ’57, the G6134T-58 Vintage Select ’58 Penguin™, and the more affordable G5439T Electromatic® Pro Jet™. Each guitar received a myriad of praise from reviewer Ed Mitchell. For those willing to spend a bit more, Mitchell pointed to the Duo Jet. “If you want a classic tone machine that’ll transport you back to a time when amplifier distortion was still regarded as a fault, the ’57 is a dream,” recommended Mitchell. Mitchell couldn’t get over the era accurate Vintage Select White Penguin either. 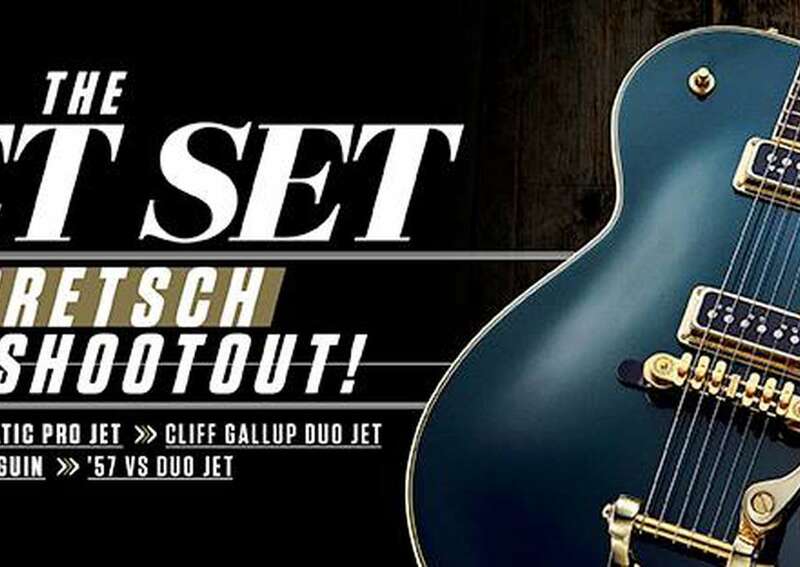 As a bonus, Guitarist also throws in a quick look at the stunningly beautiful G6128T-CLFG Cliff Gallup Signature Duo Jet™. 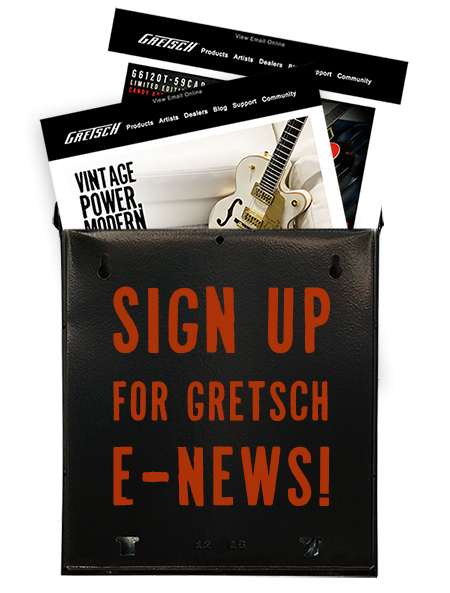 “It’s heartwarming to see Gretsch pay tribute to such an influential, yet still relatively unknown musician,” noted Mitchell. See Guitarist’s demo video review below and don’t forget to grab a copy of their November issue by CLICKING HERE.